I have always admired the brand Paul & Joe from afar. 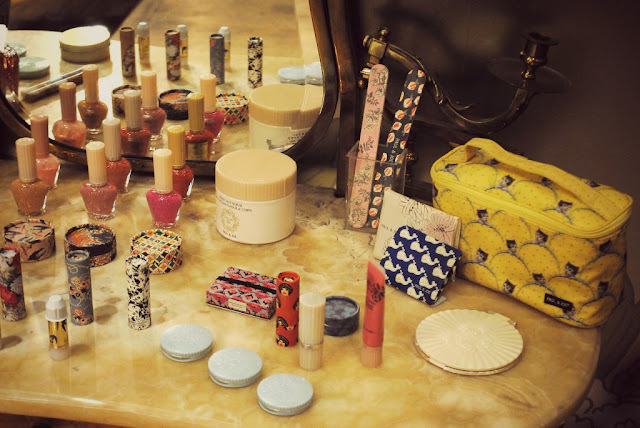 Until recently, I never actually owned anything from them, just coveted the gorgeously cute and kitsch packaging, the stunning lip colours, and the adorable makeup cases. A while ago I reviewed their Winter collection, and discovered that as well as them creating beautiful-looking cosmetics, they also make amazing quality cosmetics that really impress. The thing, however, that I think sets Paul & Joe apart from other makeup brands is just how stunningly beautiful their products are to look at. I am the ultimate packaging-lover; if something looks pretty on the outside, I'm in. This is mainly because I love displaying things on my dressing table and celebrating what pretty products I have; after all, if you're going to spend money on a lipstick, it might as well look good on your dressing table, as well as on you. 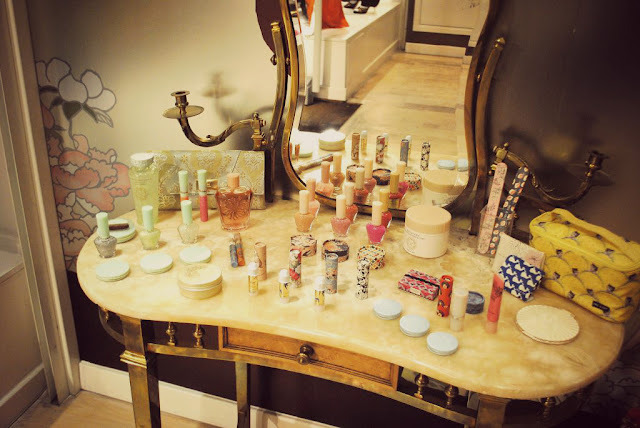 A while back I attended a Paul & Joe event and upon entering the event I was taken aback by the gorgeous dressing table display. 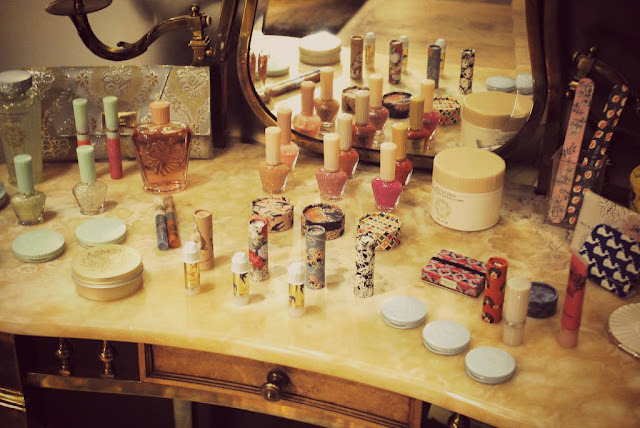 I stumbled across these images on my camera tonight and knew I had to share them with you - any girl with a love for makeup and interiors should find this dressing table nothing short of a masterpiece. I feel like it should belong in a fairytale, with a beautiful princess sitting at it. If I had all of those adorable Paul & Joe products, I would most definitely have to have them on display. I'm currently lusting after the Paul & Joe Carousel Collection, and I'm pretty sure I need that amazing yellow kitten-covered makeup bag in my life. Do you own anything from Paul & Joe? Are you a fan of pretty packaging, or is it all about the actual product for you?